There is currently a large number of visually impaired people in Brazil and worldwide. And just as any citizen they have their rights, including in them the right to education and other services that accelerate the process of social. With advent of technology increasingly virtual environments in three dimensions are being used for various areas. But often these environments are not accessible to visually impaired becoming a digital divide. 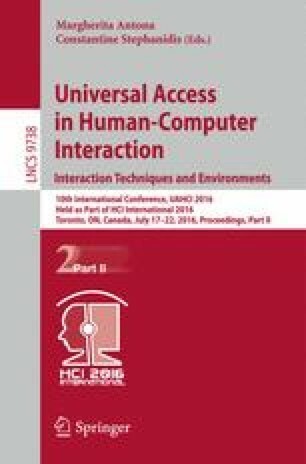 In this context, a review of interactions in three dimensions accessible to visually impaired people may facilitate the work of researchers and developers to build such accessible applications. This paper presents the results of such a systematic literature review.